At Elite Green Team Chem-Dry we always put our customers needs first and we strive to provide the highest quality service with the best attitude. What makes us such a great carpet cleaning service in Friendswood, TX and the surrounding area? Our unique approach to traditional carpet cleaning methods leaves you with a healthier home and a happier family. Through the power of carbonation, our specialized carpet cleaner formula employs millions of tiny bubbles that work to break down and extract dirt particles and grime. We know allowing a stranger into your home isn’t always easy. Our highly-trained technicians will take care of every detail from start to finish. We think you should get what you pay for. No need to vacuum before we come. Just schedule an appointment and let us do the rest. Ever wondered where all the water goes after your carpets get cleaned? Traditional steam cleaner technicians clean your carpets through large amounts of water and suds that seep deep down into your floor. Though they attempt to extract all of the water after it has been sitting, this method leaves behind a lot of leftover moisture and soapy residue causing carpets to take days to dry. At Elite Green Team Chem-Dry, we use 80% less water than typical steam cleaners in the Houston area. Through our Hot Carbonation Extraction (HCE) method, your carpets will dry quicker and you can get back to your routine in just hours. We know you’re busy and you want to focus your time on your family and your pets so we do everything we can to speed up the drying process while providing a non-toxic, healthy carpet cleaning service for you. Schedule Your Houston Carpet Cleaning Today! It’s all in the name. Chem-Dry’s signature cleaning solution, The Natural®, is a non-toxic cleaning solution ideal for any home, specifically those with kids and pets. The Natural® is one of the purest carpet cleaning solutions available on the market and was recently awarded the Green Certification. One of the biggest advantages of the Chem-Dry cleaning process is that we use 80% less water than the typical steam cleaner in Friendswood. This revolutionary cleaning treatment helps maintain the quality of your carpet by removing odor, dirt, and discoloration trapped deep within the fibers. Our carbonated cleaning formula uses a fraction of the moisture a steam cleaner requires. Rather than just cleaning the surface, our process penetrates deep into the core of your carpet through millions of tiny bubbles that work to extract the dirt and grime without leaving residue from soapy solutions. Our method will help your carpets to dry quicker and will prevent mold and mildew growth from excess water sitting beneath the surface of your carpet. This means your carpets will stay cleaner, for longer. Elite Team Chem-Dry’s carpet cleaning solution works to extend the quality of your carpet cleaning and gives you results you can see and feel instantly. Our goal is to give your carpets such a good clean you won’t have to schedule a carpet cleaning as often as you have in the past. Damp carpet is the perfect environment for mold and mildew. This can cause health problems and could potentially lead to illness. We care about you and your family and want to leave you with a carpet cleaning that will improve your lifestyle rather than hinder it. Our low-moisture cleaning method ensures your families lasting health because it leaves a small margin for mold and mildew to grow in your carpets. Elite Green Team Chem-Dry is dedicated to using safe, non-toxic cleaning solutions that are safe for children and pets. We believe in protecting your family, your home, and the environment in Houston. Our deep and healthy carpet cleaning service is sure to exceed all of your expectations. Chem-Dry is preferred by customers and professionals alike. The Carpet and Rug Institute (CRI) awarded Chem-Dry the CRI Seal of Approval for its innovative and unique Hot Carbonating System. This program identifies effective carpet cleaning solutions and equipment that clean carpet right the first time. Our products help to protect both home and commercial facility’s carpet investment. The blue and green CRI Seal of Approval is proof that you are investing in quality service. 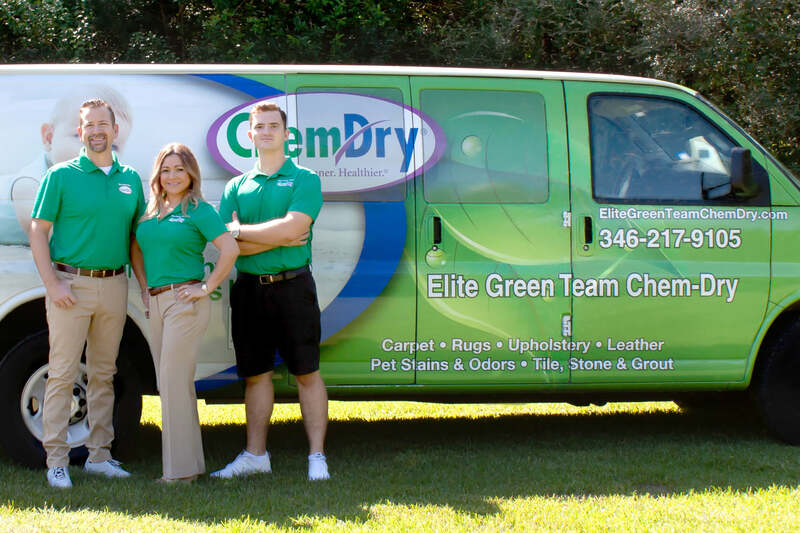 Elite Green Team Chem-Dry is the superior choice of carpet cleaners in Friendswood, Texas because of our specialty Hot Carbonated Extraction (HCE) cleaning process. 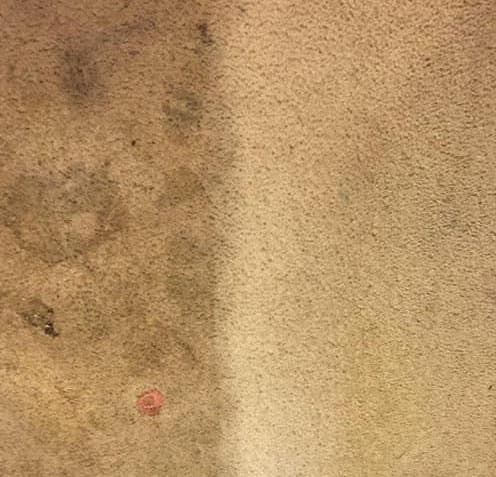 Our experts have spent nearly 40 years perfecting process so that we can deliver a drier, cleaner and healthier carpet cleaning service to you. Read about the three key reasons we are different from other carpet cleaners near you below.